Home » Consultants Changing Lives » WALK IN. MAKE A WISH. WE WILL HELP YOU FULFIL IT. WALK IN. MAKE A WISH. WE WILL HELP YOU FULFIL IT. Each one of us live with Akanksha. The only difference is that some voice it out while some keep it within themselves secretly. Akanksha is a desire to fly, to dream big, to achieve success and fame. Akanksha is a feeling that exists in all of us in different ways. 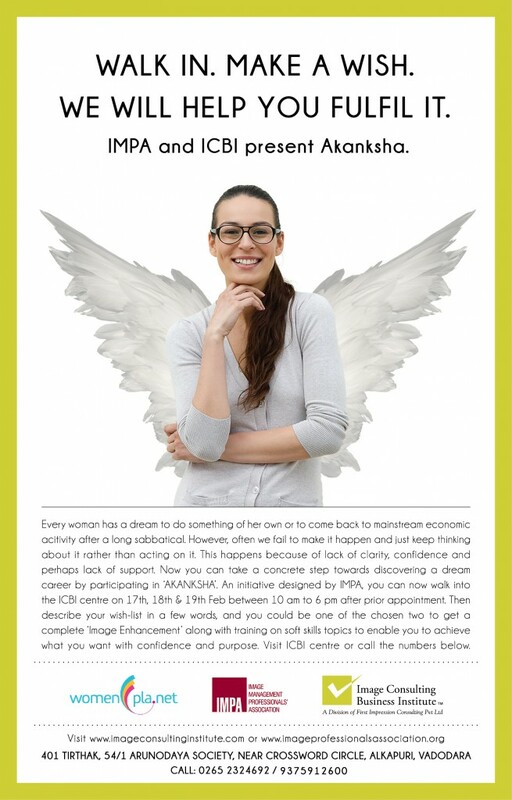 Akanksha is a dream with open eyes, a wish of every woman who wants to revive her professional life but can’t see a clear direction. Akanksha is a sense of belonging in the world that exists …..yet it is far and unreachable. IMPA has initiated a drive which will identify 2 winners out of all participants who will be declared winners. They will get a complete Image Enhancement including soft skills training through one on one consulting so that they can re-live their dream and fulfil their deepest desire. Our endeavour is empower women to so that they can achieve confidence and face the world without any inhibitions.